Coco opened to rave reviews and the coveted number one spot at the box office last week, and continues its number one reign this weekend. While the Pixar movie has been a hit, the Frozen 22-minute short has caused some outrage from moviegoers who were not happy to sit through 22 minutes of Olaf's Frozen Adventure after 20 minutes of previews to finally get to see Coco. The Disney short was also unwelcome because it was not the usual Pixar short that would play before one of their movies, so it was pretty much doomed to begin with and the length really did not help its cause. A new report reveals that Olaf's Frozen Adventure will no longer play in front of Coco, starting next week. A Reddit user claiming to work for a movie theater shared a note that the theater received from Disney asking that the theater stops Olaf's Frozen Adventure from playing starting Friday, December 8th. The letter that Disney reportedly sent asked the theater to stop and that in lieu of the extra time that the theater will receive, that they add an extra showing of Coco to the schedule. It isn't clear if the Frozen short was intended to be a limited release or if Disney is bowing to the mostly negative reaction that the short has received. The note reads. "Please note that the run of Olaf's Frozen Adventure playing before COCO will end after 12/7. Starting on Friday 12/8 no more Olaf shorts should be up on screen. With the extra 22 minutes of running time back, we would appreciate if you could get in an extra show if possible. The Frozen short has been problematic for many reasons, but the length is the biggest offender for most. One father commented that he brought his kids to see Coco and revealed that he and his kids weren't sure if they were in the right movie. Other movie theater workers observed people getting aggressive during the "short" and letting out groans of "finally" when the short ended. The additional wait time is definitely not optimal for parents bringing in young children to sit through nearly two-and-a-half hours of material, including the Coco runtime. That's a lot of additional material to sit through for kids expecting to see a story about music and family set to the backdrop of Mexico's Dia de los Muertos. Coco co-director and writer Adrian Molina called the addition of the short as a "bit of an experiment," which has failed miserably. It seems like the two stories would work together since Coco is about family traditions while Olaf's Frozen Adventure has the snowman searching for traditions, but the story was originally supposed to be a TV special and not a short in front of a feature length movie. When asked about the "short's" run time, Molina said, "It is longer than, I think, any other short that has ever been attached to one of these films, so I've heard that that has taken people by surprise." For those of you on the fence about bringing young children to go see Coco, it seems that next weekend will be the time to do so when Olaf's Frozen Adventure is removed. It isn't clear if Disney or Pixar will be replacing the short with an actual short movie before Coco, but it would seem logical that they will. You can read more about the letter from Disney as well as some humorous reactions to the removal via Reddit. 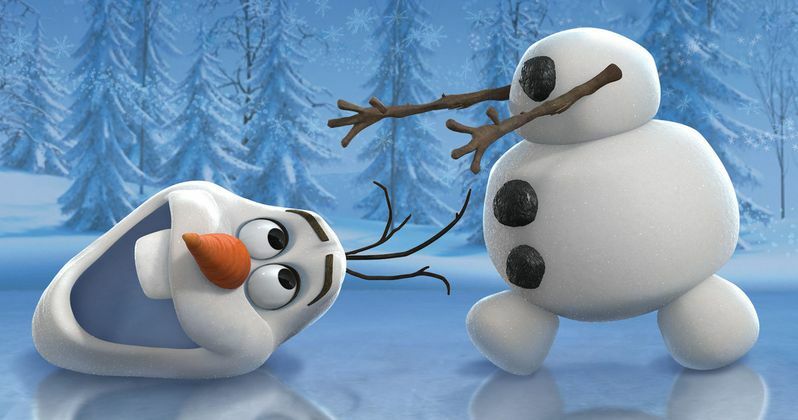 Is Olaf's Frozen Adventure the New Star Wars Holiday Special?